Happy Birthday!! Did you have a party yesterday (Todd’s birthday, June 22nd)? Oh, yeah!! Thank you. We had a little bit of a party. 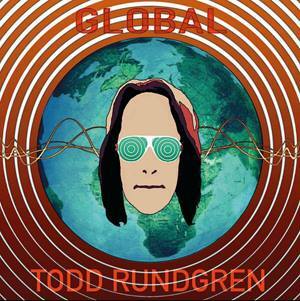 Do you consider “Global” as a concept album? Widely, it’s a concept album. Many of the songs are about the same general subject matter and I found that it’s easier for me to write if I have something of an overarching concept for everything. So, most of my records are usually called concept albums. Is “Evrybody” the hit of the album? There are two things that I’m trying to accomplish with the record: One is to create a sense of unity with the audience and within the audience and also when you have the unity thing, you have, I guess, a message. And the message is about a kind of: “Save the Planet” and we all have to be together when we are trying to do with those issues. Why you decided to do the “Global Tour” with just a DJ (Dam-Funk) and two background singers-dancers? Well, I wanted to have a lot of lights (laughs). And I could either take a bunch of musicians or a bunch of lights. I wanted to present something that was a little bit different. I did a tour a couple of years ago called “State” in which it was just me, a guitar player, a drummer and a computer and I found it too difficult to DJ for myself because I had so much singing to do. So, essentially this is a refinement of that time. I have someone else who is essentially the MC, the DJ who takes care of the music. Then, I figured that I don’t have drummer and guitar player for people to watch, so I got two dancers for people to watch and also to help with the vocals. And it just turned out to be a formula that really worked. The audience is very pleased with the end result. What exactly was your role in the “Runddans” album you did with Emil Nikolaisen and Hans-Peter Lindstrøm? Well, I was in Oslo giving a speech at a convention. Emil and Hans-Peter were in the studio working on this project before I just went over and added something to the mix. So, I scattered a few vocals, played a little bit a guitar, made some suggestions about things they can do and then I went home. I guess it occurred to them that the project needed more singing or more vocals or maybe another perspective on it and we started sending versions of the record back and forth and I would add more things. And they would take it and re-edit it, change some more things around, send it back to me and I could add some more vocals and some more ideas. So, it was mostly done remotely except for the very first sessions. My role was principally that I would come up with some lyrics and some singing and a few other additions in the third year of the project. You are currently working on a new album with The Roots. Will it be released soon? Well, it’s kind of one of these stop-start projects. It doesn’t have a real timeline or schedule. It’s whenever they come up with a couple of tracks they think that could work for the record, they send them to me and then I think about it for a while and I write and sing a song over time with it. For the past several months, they have been so busy and I’ve been so busy that we really haven’t exchange anything. But when we will have some break, I hope to get a few more of those songs about it. And I have a break in the end of the year. So, maybe by the end of this year, we’ll have that project finished. 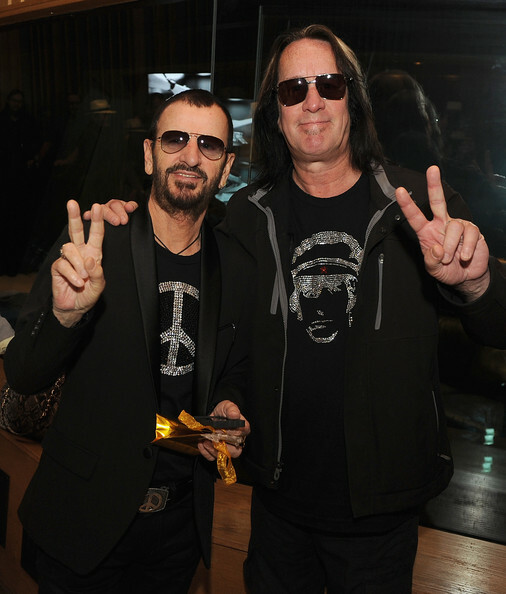 What is like to be in the same band with Ringo Starr? I’m getting used to it, now. He has kept this band together for four years now. We will be doing our fourth year of touring in October. So, by now I’m getting used to it. But still you have to remind yourself that you are playing with a Beatle because everyone owes so much to what The Beatles did. That kind of form that they created that all of us adopted. When you finished “Something/Anything?” had you realized that you created one the greatest albums of all time? No, I wasn’t really thinking about it as long as I was making it. It was only my third record so I just felt that I was refining my skills in a way again and still figuring out how I wanted to write and still learning things about studio. So, at the time I didn’t really think about how much impact the record might have because probably as soon as I finished it, I went to produce somebody else’s record (laughs). I was working on other people’s records at the same time so… in a way it’s just another record to me. What is the meaning of your song “Sons of 1984” (from “Todd” -1974)? It supposed to be an anthem to connect generations. I was already in my 20s by then, I was having tours I suppose and I think it’s about the time when people start to have children on their own in their 20s or 30s. At the same time, I had this idea about recording two different audiences singing along. So, musically it had to be something identifiable and something that wasn’t too difficult to sing. How difficult was to achieve the great crunchy drum sound on “Zen Archer” (from “A Wizard, a True Star” album -1973)? Well, by then we had our own studio called Secret Sound. To our own studio I could afford stocking with different kinds of instruments like the very early Spring synthesizers and mellotrons and other sorts of devices that imitate orchestral instruments, which was sort of a new thing at the time. A lot of these, there were because we owned the studio and we had the opportunity to experiment and play around. So, we got to learn it how to use it pretty well and of course we had the players (laughs). We had really good players on it and it was a lot easier. Do you feel lucky that you have a very loyal fanbase? Of course. I mean, I wouldn’t really be still making records and playing live if I didn’t have an audience that was willing to push me over the border. Most audiences expect the artists to continue to do the same thing all the time. So, when you go to see them or buy one of their records, you know that there isn’t always a challenge. But part of being a fan of mine, was wondering what was gonna happen next. I think if I ever was that, my records started to become sort of more uniform, more the same. I wouldn’t be satisfied with a certain side of the audience if it doesn’t really want to hear something different every time. Have you ever thought that the lyrics of your song “The Range War” (from “Runt. 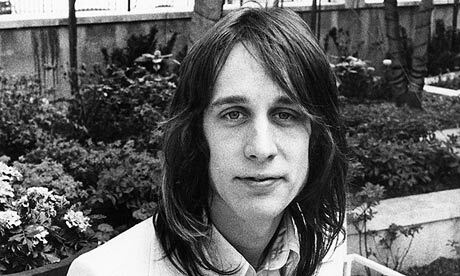 The Ballad of Todd Rundgren” -1971) could have become a great script for a western film? I was thinking about that at the time (laughs) but I was also thinking I’m not really a fan of country music. It’s a very good song. It sounds sort of like a country song but isn’t really. I mean, if you hear the country music nowadays, it’s nothing like that. It’s more like an old-fashioned cowboy, out of the range, song. A cowboy song rather than a country song, if you know the difference: Country musicians ride around in pickup tracks. Cowboys ride horses (laughs). Why you never play live my favourite song “Hope I’m Around” (from “Runt. 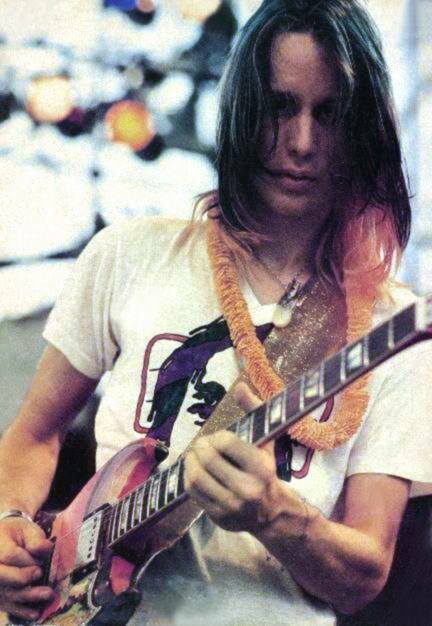 The Ballad of Todd Rundgren” -1971)? Well, you can’t play everything. Yes, but I couldn’t find a live video of this song on Youtube. No, I don’t know. I’m trying to think if I ever did it. I may have done it around the time that I recorded it. But in those very early recordings, I wasn’t a good singer. I hadn’t actually performed live as a singer, before I started record my own solo albums. So, I had a hard time sometimes singing my own material when I was on the road and it took me years to kind of get brought up and become a good enough singer and be able to sing the material the way I wanted to, live. There are a lot of songs from those very first couple a records that probably I never did have live versions because I didn’t feel confident to try and sing them. How do you feel when modern artists try to play today what you played 35 years ago? Music actually is kind of cyclical: Things become popular and then go away and then their styles become popular again. I can see artists getting tired of the sounds they grew up with and want to discover new sounds and the way they do that as they can’t go to the future, is by going to the past. They listen to music that was made before they were born to find an inspiration. I think that’s kind of a natural process. I know that I grew up listening to a lot of classical music and music that was written by Gilbert and Sullivan and Kurt Weill and Bertolt Brecht, people like that… All of them had passed away by the time I started making music. So, I think that’s just a natural thing that artists can go back and listen to music made before they became artists themselves and try to incorporate it into what they are doing just to stay interested. People get bored easily. Do you think social media like Facebook and Youtube have helped younger listeners to learn about you music? Well, they wouldn’t have learned about it directly from me on Facebook. I don’t do any of that stuff. I did that a while ago, like in the ‘90s. A lot of social media. And then I decided that it just wasn’t for me. I protect my privacy too much and I wasn’t comfortable with the idea that you always be like somewhere else. Like your mind is in another place all the time, instead of the place you are in and with people spending so much time talking on their phones and looking at their phones. They are kind of not being where they are a lot and I like to be mindful of where I am. But having said that, this is a generation that is grown up with the phones and the social media. That’s their lifestyle. They feel weird when they don’t have a phone. Sharing the things that they experience is a really important part of that. So, every time younger artists or younger audience members come to see one of my shows and then suddenly they decide that they like it, it’s a great way for other people to learn about it and a pretty genuine way as well. It’s not like the old-fashioned sort of publicity machine that creates artificial events in order to get attention for their artists. How did it happen to remix Nine Inch Nails’ song “All Time Low” in 2013? I was contacted by Trent (ed: Reznor). He was interested in having several people to remix a couple of these songs from this record (ed: “Hesitation Marks”). I guess he listened to and enjoyed and admired my music. So, he contacted me and said he was a fan of “A Wizard, a True Star” and he listened to it with great regularity and that was very flattering. He was really interested in hearing what I can do with one of the songs. I did one version of it and he said it was 2:10 (laughs). It sounded too much like a single and something like that. So, I did another version that was just way more far out than the first one and that was the one that he liked. You are also an amazing producer. Who are your influences as a producer? Well, of course nobody really knew who a producer was until George Martin discovered The Beatles and he became essentially an integral part of their music. At first, I wasn’t even sure what a producer did but I realized that if you want to be really effective you have to manage at least partly what George Martin did but getting involved in the musical level, be able to make suggestions to the artists about what they should do and the alternatives they have. I thought that a record producer had a lot more to do with the sound than George Martin actually did. The sound was more a product of the engineer whose name was Geoff Emerick. So, in terms of influences it wasn’t only those producers, it was also engineers like Glyn Johns (ed: Led Zeppelin, Rolling Stones, The Who), the famous engineers that they have eventually become producers but they grabbed the sound as well. So, I thought that was also an important thing to be able to imagine a kind of sound that you want and know how to get it. I learned as much as from engineers like Eddie Kramer (ed: Led Zeppelin, Jimi Hendrix, Rolling Stones), people like that, as I did from producers like George Martin and others. I started doing it so early that the idea of the celebrity producer really didn’t exist yet (laughs). Is it a bit strange that Patti Smith is in the Rock ‘N’ Roll Hall of Fame and you aren’t (Patti was Todd’s admirer when she was a writer and later they had a relationship and Todd produced her “Wave” album in 1979)? I never think about it. Well, when I just think about it, what I think is I don’t want to be there (laughs). I never thought it was a great idea to do this slick sort of tribute to what essentially is not rock ’n’ roll. It’s really something like pop music in general. Otherwise, Madonna wouldn’t be in it, because Madonna has never played anything that we call rock ’n’ roll. So, I always saw it in a way like the Grammys: to give awards but also try to sell records. The music business is just trying to recycle music. I never thought it was important to be there and I always thought it would be a dreadful challenge to have to come up with an acceptance speech for something that you don’t really believe that much. 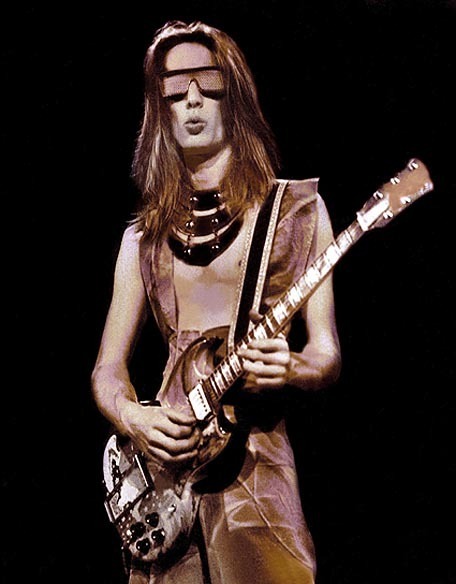 I have always dreaded the idea of being in the Rock ‘N’ Roll Hall of Fame and I hope that day never comes. Did you enjoy the “John Anderson for President” tour with Ian Hunter (Mott The Hoople -vocals), Mick Ronson (David Bowie –guitar) and Michael Shrieve (Santana –drums)? It was a lot of fun. It was a test to play with musicians that you don’t get to work with that often but also with really great guys like Michael Shrieve and Ian Hunter. Ian Hunter is just a really great funny guy to hang out with. He has a really great English sense of humour and he was always saying something funny. It was a great opportunity and we were trying to make a point. John Anderson never thought he was going to get elected President. The idea that a third party had a chance to run was appealing to me at least and I guess to the other guys as well. Although, I think probably for most of us, the real reason that we did it was just because we thought it was an opportunity to play together. Do you miss Moogy Klingman (Todd’s and Utopia’s keyboardist –died in 2011)? Yeah, we think about him all the time. Moogy was a funny guy. He was iconic. He was an energetic guy who was always trying to make things happen. I didn’t work with him for a long time for many years before we did the benefit for him in New York when it was discovered that he had advanced cancer and something like that. We had planned to do the reunion tour that Utopia did several years ago with Moogy, but he wasn’t healthy enough to make the tour and he didn’t survive until the end of the tour. So, it was a bittersweet thing for everyone. It was a chance for all of us to play together again. Who won when you played chess with Rick Danko of The Band? Jeez, I don’t recall who won that game. I was never an avid chess player and certainly not a great one. We were probably just killing time because during those sessions (ed: The Band’s “Stage Fright” -1970), it took so long sometime to get everyone in the same place and on the same page. For all of the time that we spent on the record, not a whole lot of it, it spent actually making music. So, I think we were trying anything just to kill some time during those sessions. How possible is to play in Greece? I would love to play in Greece. People misunderstand sometimes that you can pick up a place and just go there. But you have to have a promoter who wants to bring you there, who wants to do the advertising, find the venue and put together the equipment and stuff necessary for you to play. So, no-one actually has stepped forward and said: “Come to Greece”, although I would love to. I’ve only been to Greece once. That was a couple of years ago when we did a cruise around several of the islands with some friends and I really enjoyed myself and I would love to have the opportunity to come back and play for the Greek people. I am sort of ambivalent about it. My own records were actually too long for the vinyl age. In other words, I was making too much music and as a result it was too hard to get it on one vinyl. So, when CD’s came along, I was sort of relieved because I thought that now I don’t have to think so much about how long the records are and I still wanted to push over the border and don’t have to be pressed so much by the things that make music sound better. I think it’s a kind of fad, but I don’t see a whole lot of young people building old-fashioned stereo systems, with really expensive turntables and cartridges, $1.000 speakers. I think most people just buy the records as a kind of souvenirs. They play them on these little portable players. A lot of people say that vinyls are making a comeback, but I think it’s a fad. I don’t think they can make a big comeback. There are too many drawbacks in the vinyl compared with the advantage that the covers are so much bigger. So, the graphics are bigger. More fans look that. 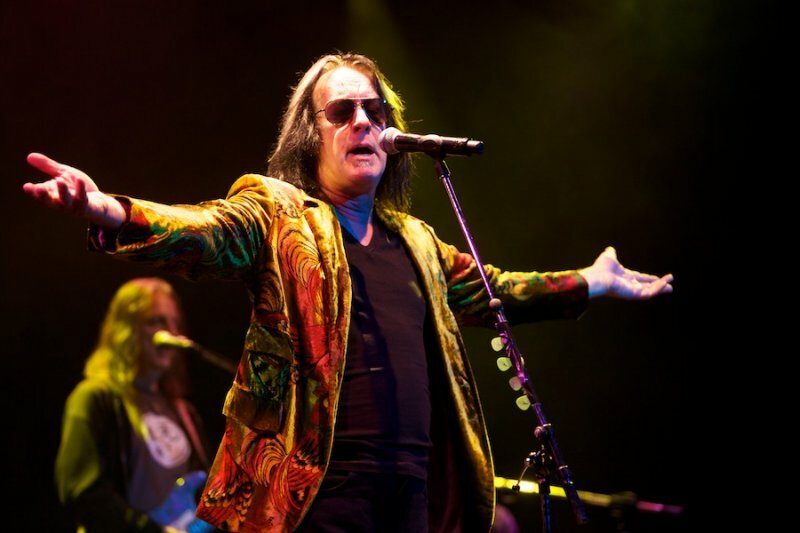 A huge “THANK YOU” to Mr Todd Rundgren for his time.